So, I have a bit of an embarrassing confession to make. 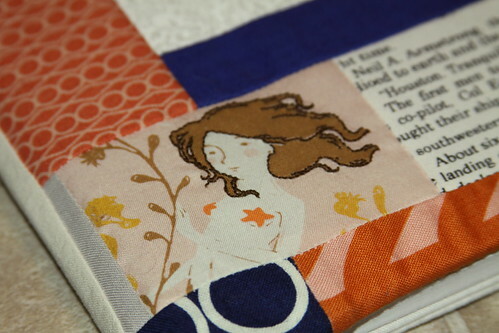 Some of you who have been around here for a while may know that my quilts are generally gifts or donated. 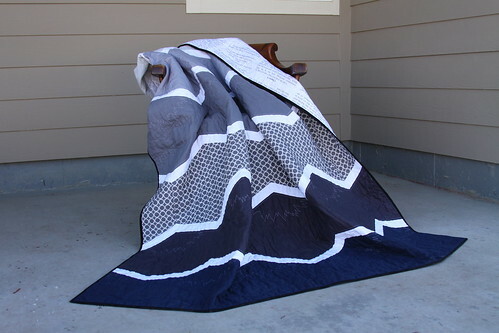 What you may not realize, is that after 3 years of quilting, I still had not made my very own son a quilt. In fact, we didn't have a single quilt we kept in the house - every single one had gone out the door. 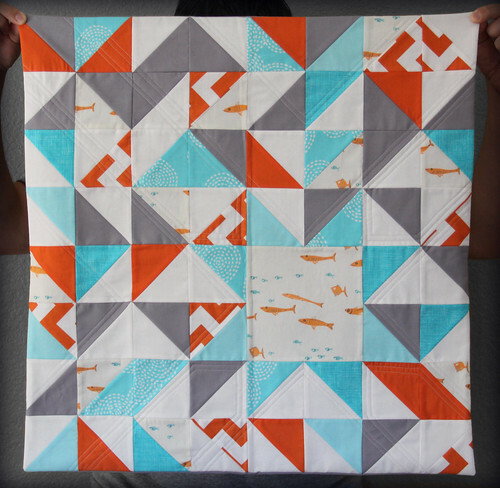 When my husband, who is completely disinterested in quilting, said the next one really should be for Paul, I knew I needed to put this right. 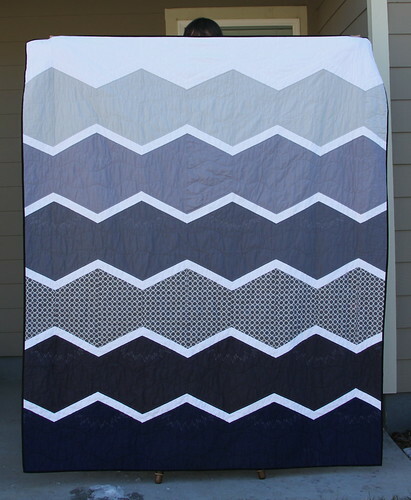 Since it came with a number of panels, I decided not to use a pattern and instead designed the quilt around those panels and the quantities of each fabric I had on hand. 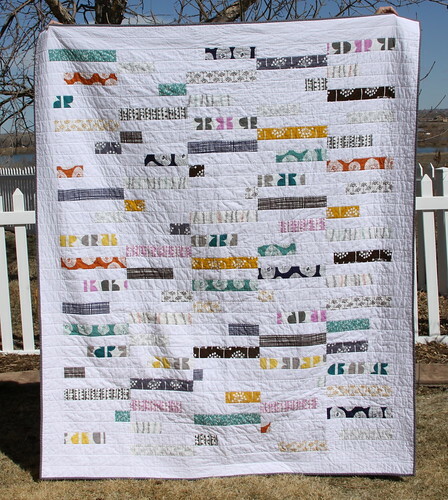 I used the stripes together with the panels to create a bit of a filmstrip effect across the quilt, and filled in between with the prints. 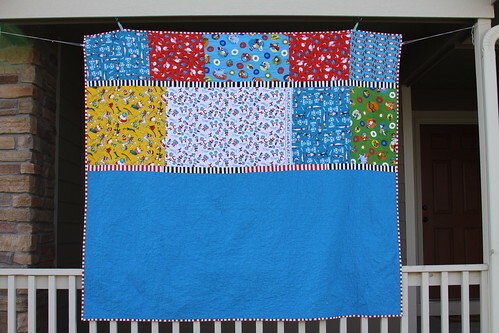 The back was pieced with the remaining fabric and a solid blue I had purchased along with the original fabric. I made sure to save enough of that red binding for a stripe-y binding. I love a good striped binding. 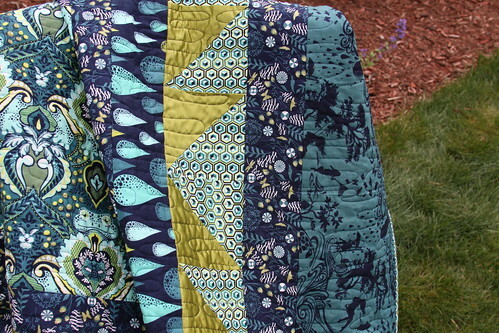 I chose a large meander for the quilting. 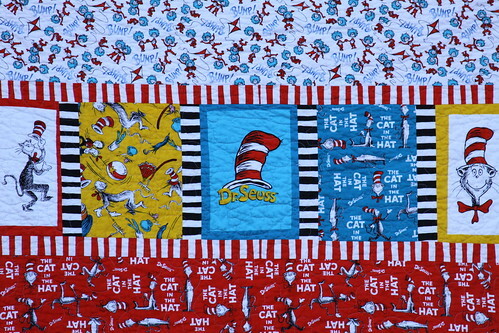 It actually gives the feeling of large puzzle pieces, which I thought fit perfectly with the juvenile theme of this quilt. I am glad my son cares for it, and has something more special to snuggle up with at night. He seems to appreciate that it was "Made by Mommy", despite his young age. There is not much that could melt a mommy's heart more than that. PS. 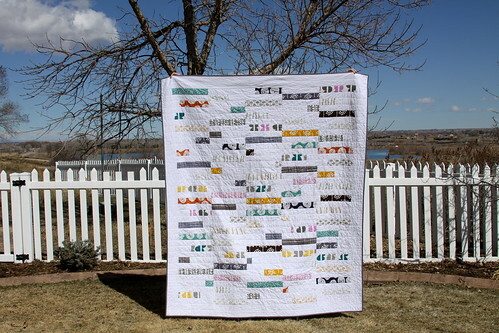 I am linking this up to Blogger's Quilt Festival at AmysCreativeSide.com. It is a bi-annual festival with hundreds of quilts entered each time. If you have never been, be sure to make a visit over and enjoy! There is something very special about fabric from Tula Pink. Most fabrics shout out to you. "Hey you, shopper, look at how cute/amazing/fun I am. Don't you want to take me home and add me to your stash? Just look at my adorable fish/gnomes/mermaids? 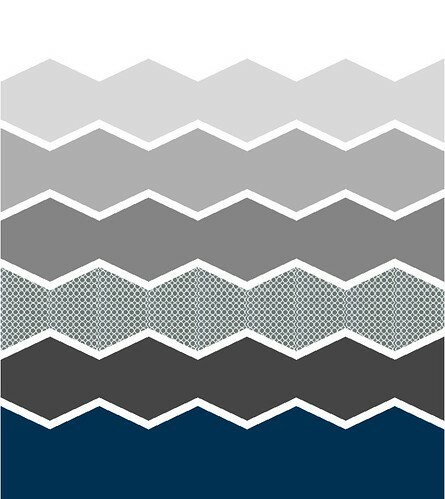 Wouldn't my text/stripes/seeds be such a versatile mixer?" But Tula Pink fabrics are different. The first time you meet you are just getting acquainted. Each time you meet after that, you notice a little something you didn't see there before. A scallop that is actually a snail. Or a little girl catching butterflies or swinging with her hair blowing out behind her. Instead of screaming at you, they slowly whisper their story to you. And every time, without fail, the more I get to know them, the more I fall in love. 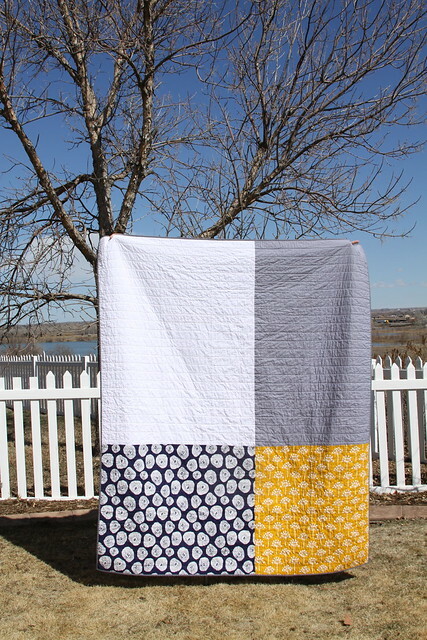 This quilt is made almost exclusively with Tula's Prince Charming line. 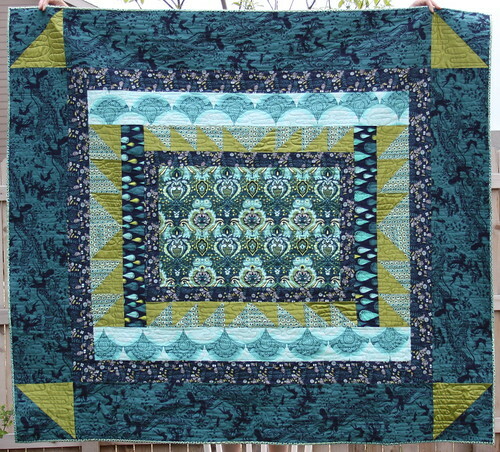 I actually found it as a quilt kit at a quilt festival a long while back, but sadly I lost the information on the shop or origin of the pattern in between. I loved the combination of the satin with the quilting cottons. 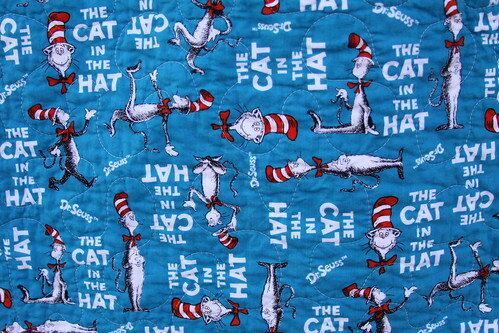 That little bit of shimmer in the perfect shade of green to go with Tula's fabric was just too much for me to resist. Looking straight on you can see the quilt itself is fairly simple, and it expectedly went together really quickly. It is definitely all about showing off the fabric. 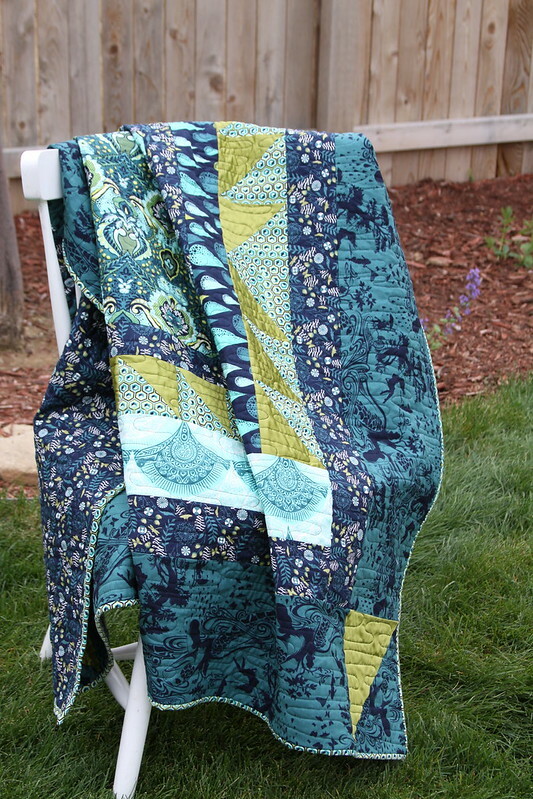 I selected a quilt motif meant to be evocative of ripples in water, to go with the aquatic theme of this line. 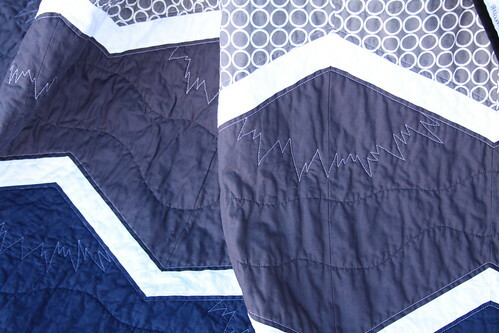 This motif was super easy to quilt and I anticipate re-using it again in the future. 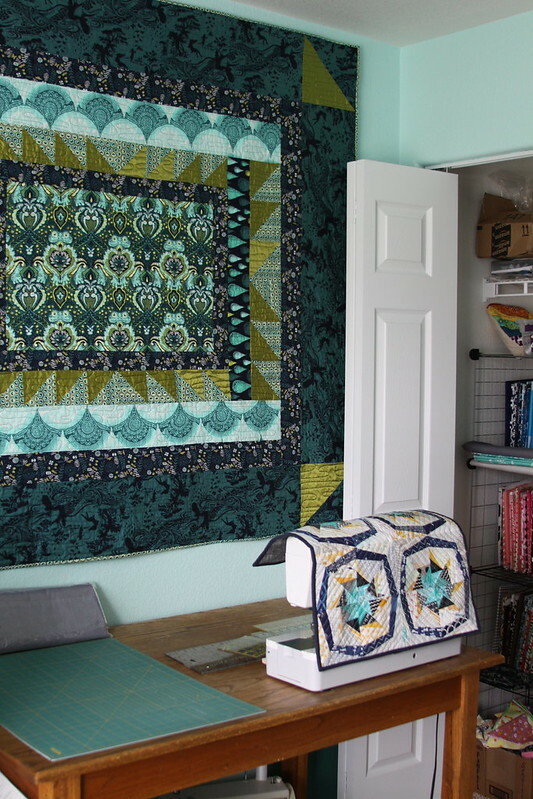 It now has a happy spot on the pretty aqua wall behind my sewing desk in our office (and hopefully some day nursery). 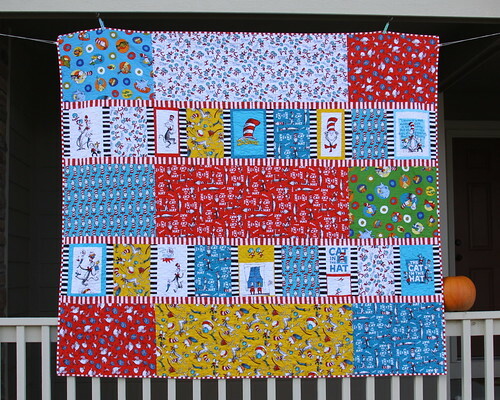 PS This quilt is an entry in Blogger's Quilt Festival over at AmysCreativeSide.com. Every festival has hundreds of quilts, so if you've never been, you really ought to go check it out! Today I'd like to take a moment to share a pair of journals I made as gifts. The first is in an improvisational style and used an unusual (for me) color palette of peaches and navy. I did a little embroidery by hand in the mermaids hair to add a small textural element. 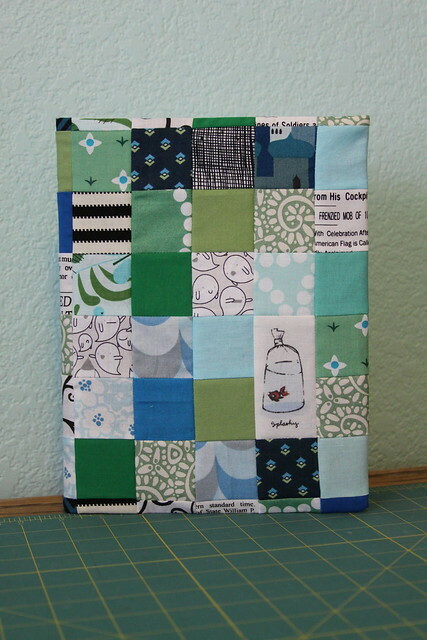 The second journal centered around the Goldfish in a Bag print from Heather Ross, using a blue, green, and black color palette. 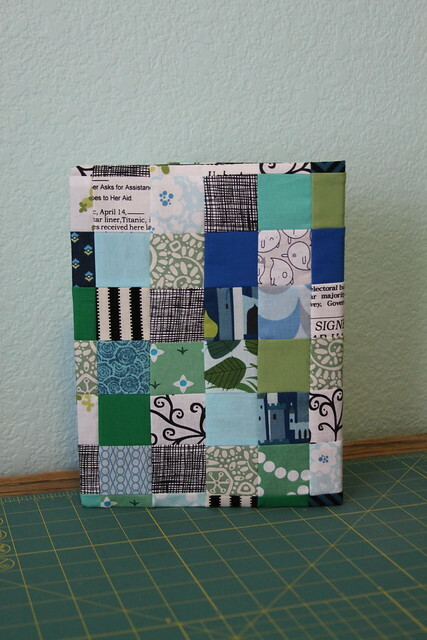 The cover is made entirely from 1.5" squares, with the exception of the fish. 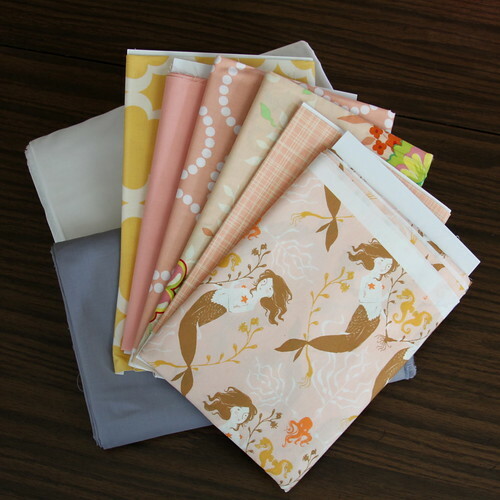 Most of these fabrics came from my scrap bin. 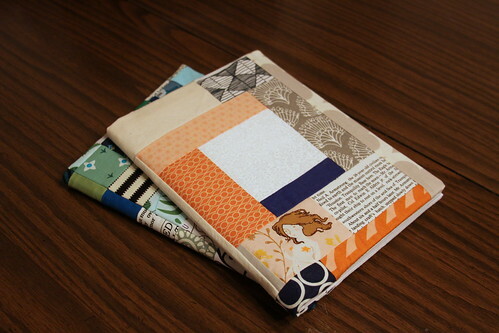 These journal covers are really a great way to use up scraps and get the satisfaction of a quick finish! The inside front cover contained a little surprise! 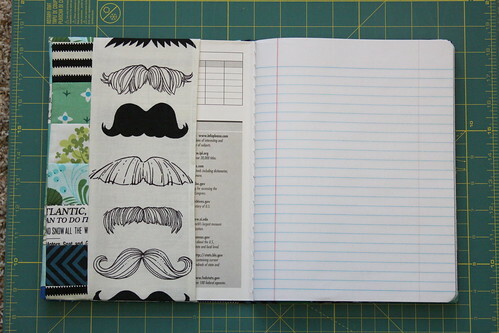 Both journals were made using a free tutorial from Stitched in Color. 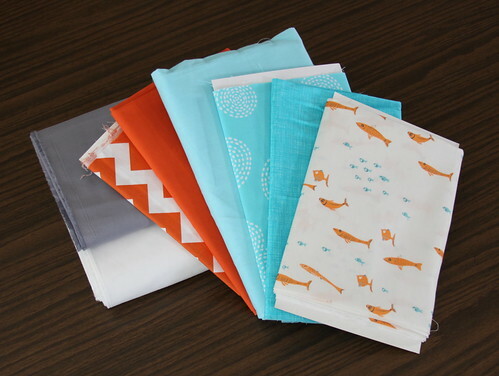 These covers are great little gifts since they give you a chance to make something special and exercise a little creativity without overcommitting yourself - you can easily make one in a single evening. 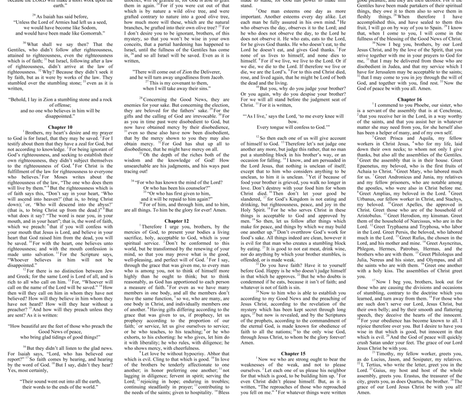 And since they fit standard composition notebooks that can be switched out, they can be used over and over again - a bonus if you go through a lot of notebooks!